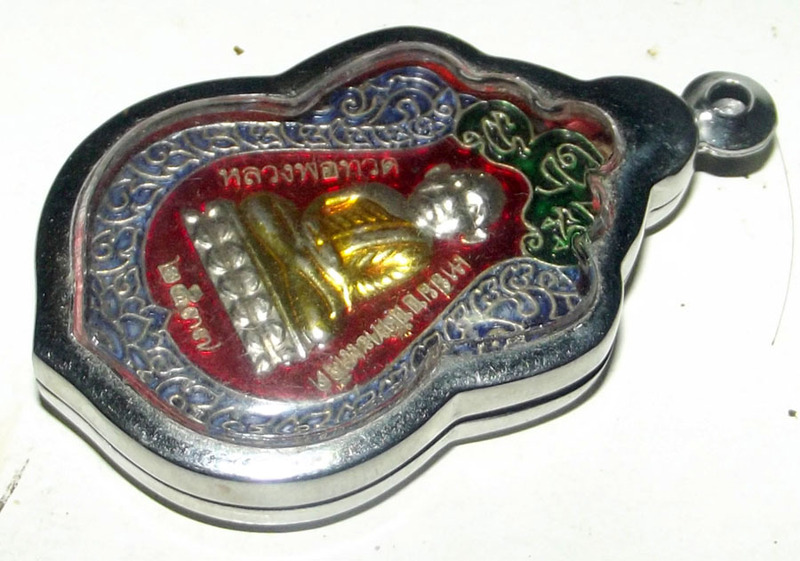 Rian Sema Hua To Luang Por Thuat - Nuea Ngern Long Ya Rachawadee (Solid Silver with Ya Rachawadee Enamel Glaze). Released in the 'Sang Wiharn' Edition, which was to fund the completion of the building of the Vihara Shrine Room at Wat Sai Khaw. 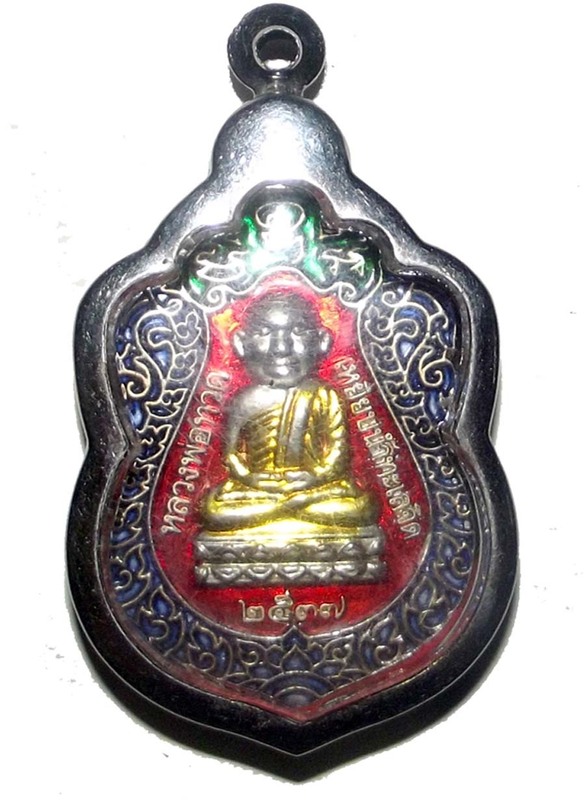 Pra Ajarn Nong and a Host of other Famous gaeji Ajarn of that time gave the Empowerment and Blessings over this famous and highly appraised, sought after and worshipped edition of Sacred Luang Por Thuat amulets. 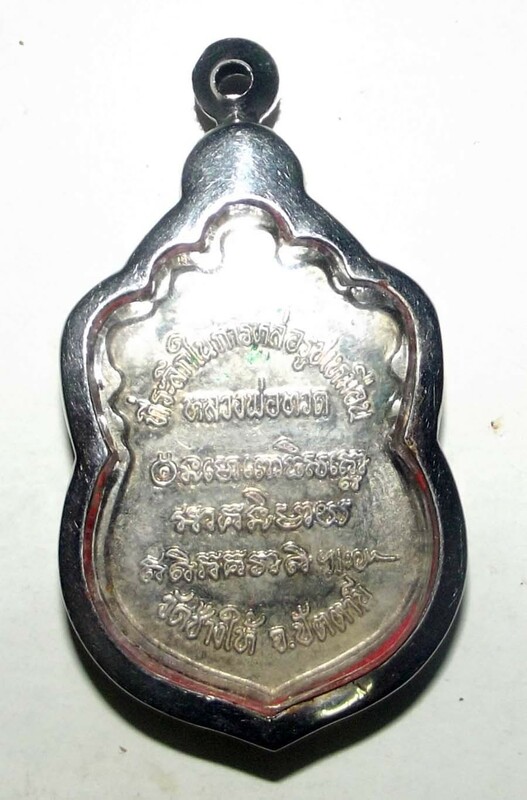 Being made from solid silver with Ya Rachawadee, this is one of the Pim Niyom class models (highly preferred by the serious collector and devotee). Pra Ajarn Nong (ex Abbot of Wat Sai Khaw)was born in 2462 BE and was kknown for his great Metta (Loving Kindess and Coimpassion) and for his simplicity of living frugally. 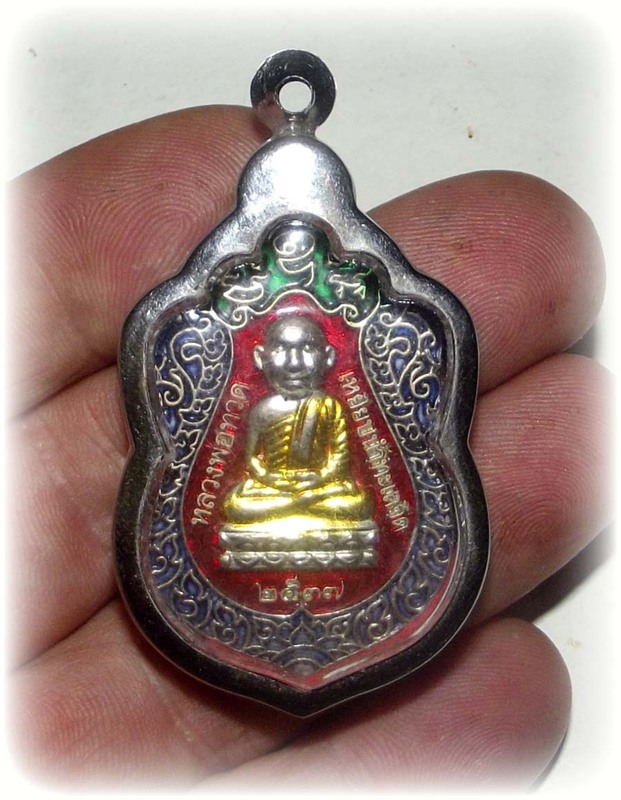 He is one of the three Guru Masters responsible for the making of the Pra Luang Por Tuad amulets of Wat Chang Hai. He is World Famous for his role in the History of the Dtamra Pra Luang Phu Tuad. 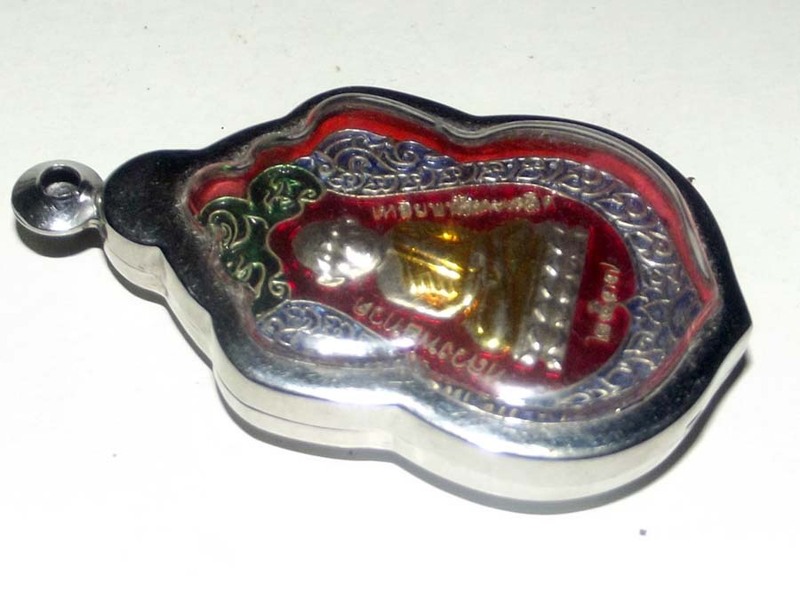 The Rian Long Ya Pra Luang Por Tuad (Ajarn Nong, Waty Sai Khaw), is made from solid silver with Ya Rachawadee enamel glaze finish. It is known to have 4 codes as authenticity mark.The shape is that of a 'Sema' cpin, which was the preferred model of that Era. 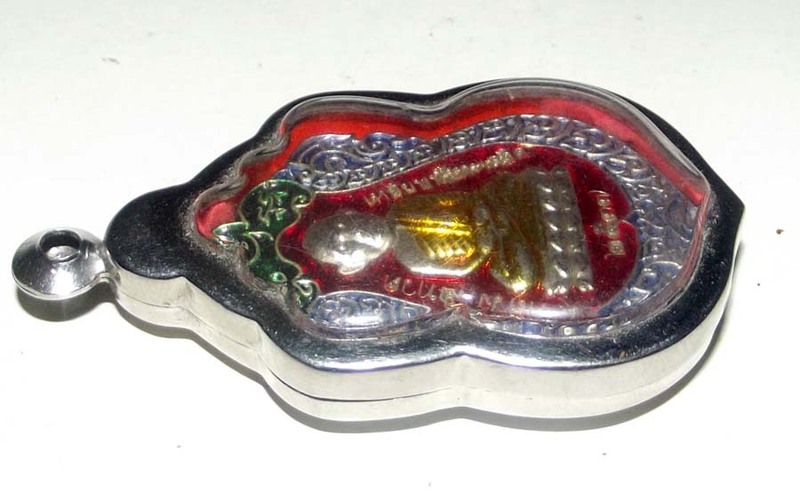 This amulet is beginning to become extremely rare and difficult to find in the present day.